This is your opportunity to experience what a Pro Wrestling training session is all about! The EPW School of Pro Wrestling is conducting the first Open Day of 2019 on Feb 9th this Saturday! What is an Open Day you ask? Since 2001 anyone who seriously wants to learn the art of Pro Wrestling and has started their training journey at an EPW Open Day. EPW only hold an open day four times each year and these are the only times that we accept new trainees. 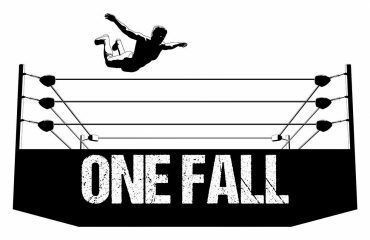 So if you want the best Pro Wrestling training in Perth, this is where you get your start. The open day is also for people who just want to try something different or are looking for a fun way to get fit. 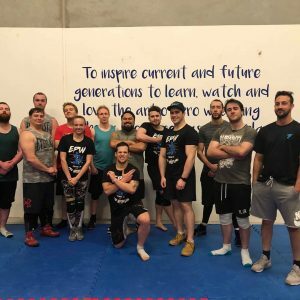 The EPW School of Wrestling is the premium professional wrestling school in Western Australia. This is in large part to the staff of world class trainers that teach at the school. On this Saturday’s EPW Open Day – Feb 9th 2019 you will be guided by our Head Trainer Damian Slater and current EPW Champion Gavin McGavin. 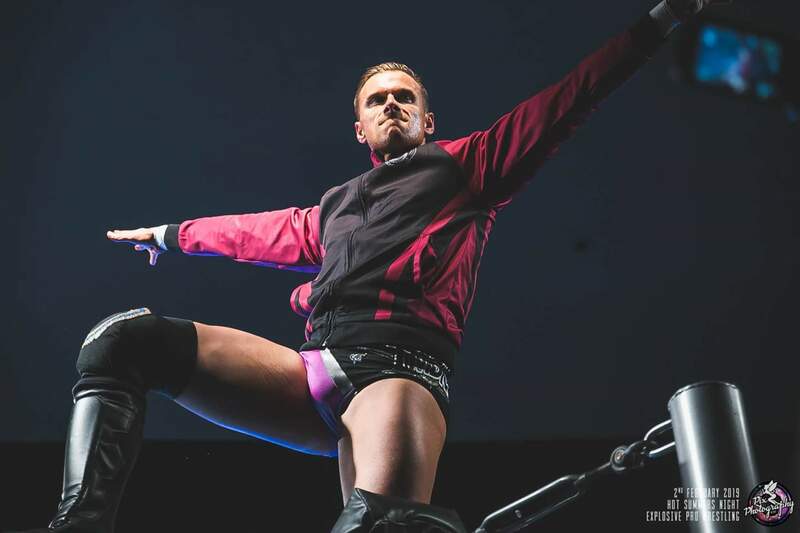 Originally hailing from Adelaide, Damian Slater is one of the most technically proficient wrestlers in the world who has represented himself and the country in WWE’s Cruiserweight Classic, New Japan Pro Wrestling, World Series Wrestling throughout the country and abroad. 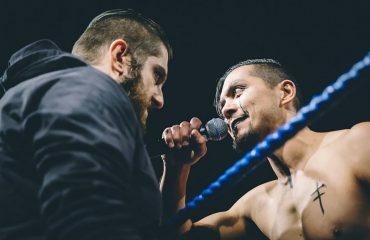 With over 15 years in the wrestling business and over 10 of them as a coach, Slater is passionate about sharing his immense knowledge and building the future of professional wrestling in Australia. Gavin McGavin is the picture of consistency and hard work. Coming up on his 10 year anniversary in the wrestling industry, McGavin is a trainer who’s eye for the nuances and little details coupled with an encouraging demeanour and natural teaching ability has made him a sought after coach and performer throughout the country. His hard work and dedication as a wrestler has seen him ascend to the EPW Championship at the top of Explosive Pro Wrestling. If you are aged 16 or 17 you will need to be accompanied by your parent or guardian. If you are under 16, we’re very sorry but for your own good you’ll need to wait a little while longer. Initially held at our smaller schools in Maddington, for the last three years we’ve been excited to show off our great new facility in Malaga. We believe that we’ve put together one of the best Pro Wrestling training facilities and training programs in the world. With great confidence, we can promise the best quality training in Western Australia. Take a look at our Training Page and Instagram account for some more insight into our facility and training. Who’s started their Pro Wrestling journey at EPW Open Day’s? Register your interest today by emailing info@epwperth.com and experience the world class training school where many of Australian wrestling’s greatest have started their careers. Please wear clothing and footwear that you will be comfortable running, jumping, squatting and rolling in. The Open Day is a physical experience so don’t wear anything that will hold you back or restrict your movement. Footwear wise, any athletic shoes, basketball shoes, joggers and so on are acceptable. Vans and Skate shows are okay but not ideal. Heavy boots, sandals or thongs aren’t appropriate. It can get warm through the day so bring a drink bottle with you. Please also bring a towel with you for dying up any sweat. To make sure you enjoy the day as much as possible, have a good healthy breakfast but don’t over indulge or eat breakfast right before we start. There’s no shame in throwing up at training but I promise it’s more fun when you don’t!